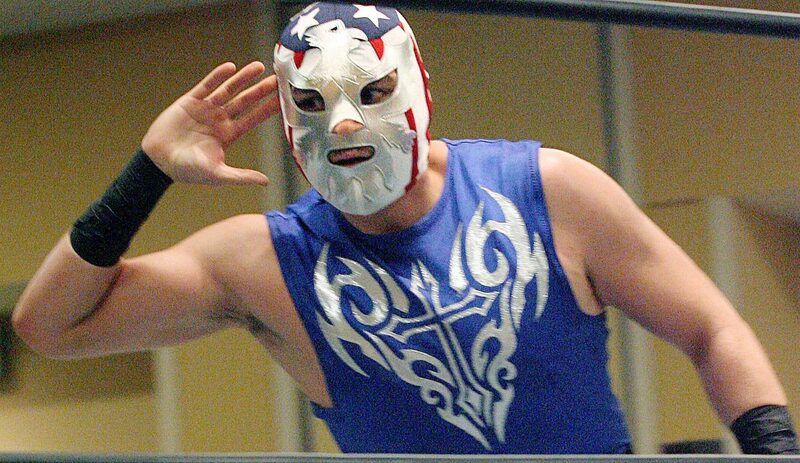 Mr. America II gestures to the crowd watching the Revolution Wrestling match at South Texas Comic Con 2018 at the McAllen Convention Center Saturday, April28,2018. McALLEN — While superheroes may be lighting up the silver screen this weekend with the release of the latest Marvel movie, they are also crowding the McAllen Convention Center for South Texas Comic Con. With over 13,500 individual tickets sold Friday and Saturday and more than double the special guests than last year, the event was at its largest this year. Among the 29 guests who were available for photos and autographs were actors and actresses from popular television shows and films. One iteration of the Batmobile was also available for photo ops. 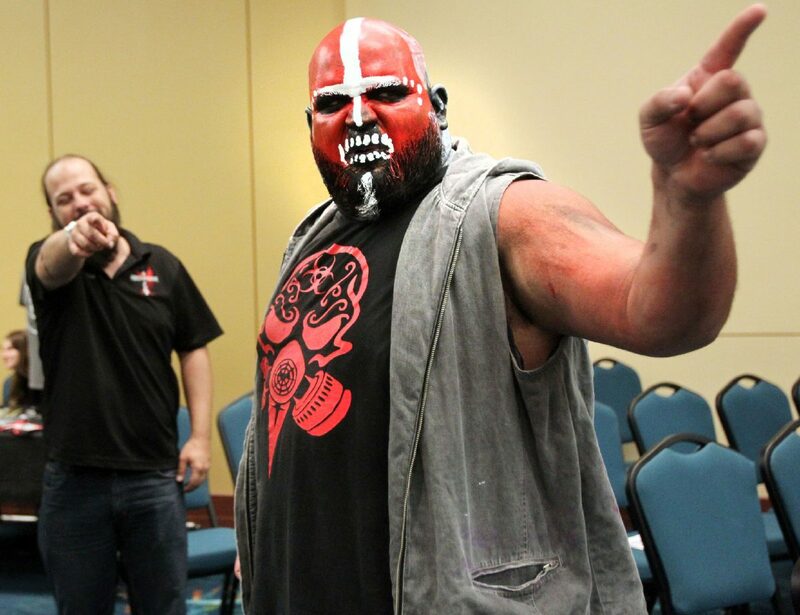 Pedro Rivera of Mission yells at wrestler Pete Paine to take his turn in a match during the Revolution Wrestling exhibition during South Texas Comic Con 2018 at McAllen Convention Center Saturday, April 28, 2018. Aissa Morales, 20, of Rio Grande City, dressed as Harley Quinn during South Texas Comic Con 2018 at the McAllen Convention Center on Saturday, April 28, 2018. 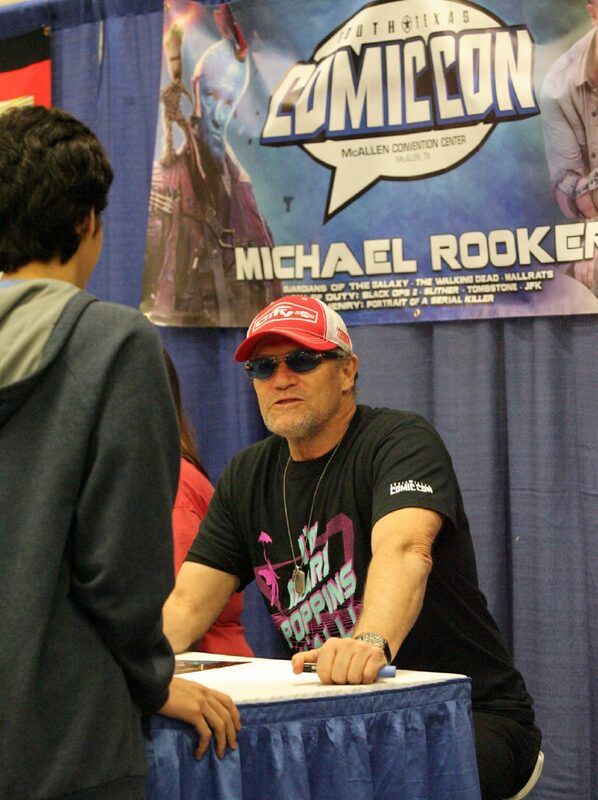 Michael Rooker signs autographs during South Texas Comic Con 2018 at the McAllen Convention Center Saturday, April 28, 2018. Rooker is a star in "Guardians of the Galaxy." 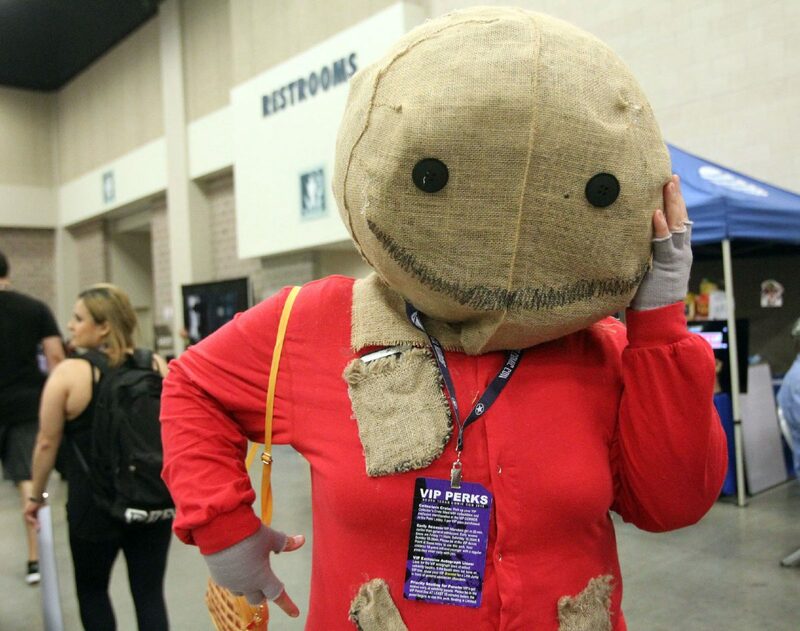 Kelly Hilbery of Mission impersonates Sam from "Trick 'r Treat" during South Texas Comic Con 2018 at the McAllen Convention Center Saturday, April 28, 2018. 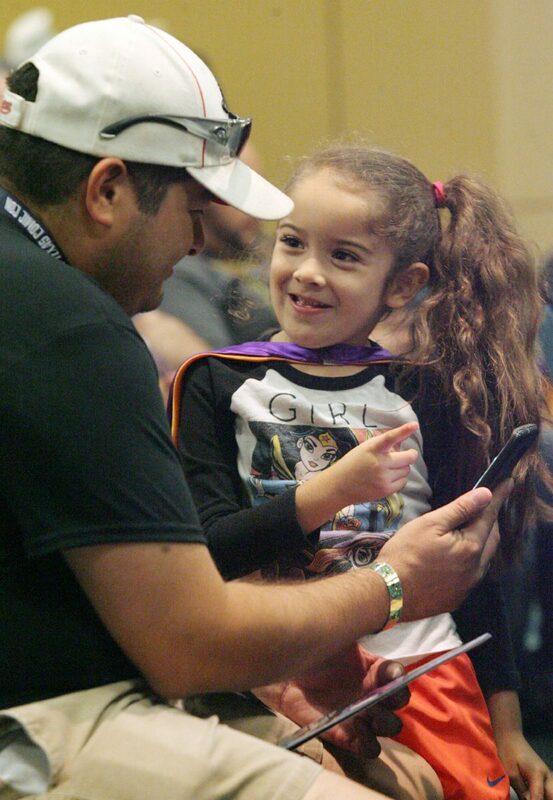 Katherine Tijerina, 5, dressed as Girl Power smiles with her father, Damien Tijerina of McAllen during the Revolution Wrestling match at Comic Con 2018 at McAllen Convention Center Saturday, April 28, 2018. 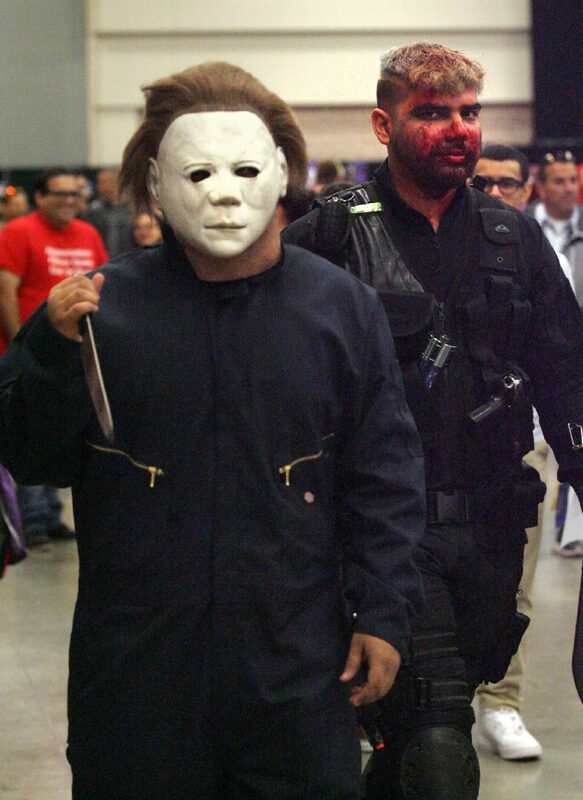 Matthew Villarreal of Alamo dressed as Michael Myers during Comic Con 2018 at McAllen Convention Center Saturday, April 28, 2018. 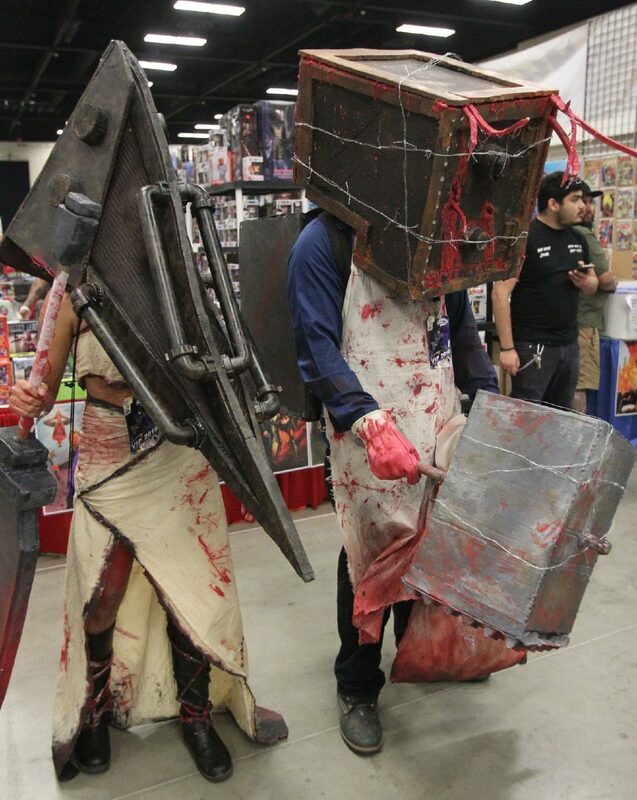 Gabriel Belcher as Pyramid Head of Silent Hill and Darold Delgado as The Keeper from Evil Within during Comic Con 2018 at McAllen Convention Center Saturday, April28,2018. The large number of people in attendance was evident just by trying to navigate through the crowded main floor which housed the special guests’ booths on one side and the vendors’ booths on the other. For those who put enough effort to deserve recognition, cosplay contests were held toward the end of the event on Friday and Saturday. Among the other main events on Saturday was a question and answer panel with Michael Rooker and Sean Gunn, both stars of the “Guardians of the Galaxy” movies. Both spoke about their experiences on the films before taking questions from the audience. Stating the process would take too long, Rooker jumped from the stage, microphone in hand, and rapidly went from fan to fan to take their questions. Nothing big was revealed in response to the questions but Rio Grande Valley residents may take pride in that when asked if he liked the Valley, Rooker replied that he did and that it had good food. “I’ve never eaten a better taco than down here,” he said in response to another fan who asked if he’d like to go eat tacos later. The convention will continue through Sunday with more Q&A panels, a cosplay contest, a kids’ costume contest and workshops.